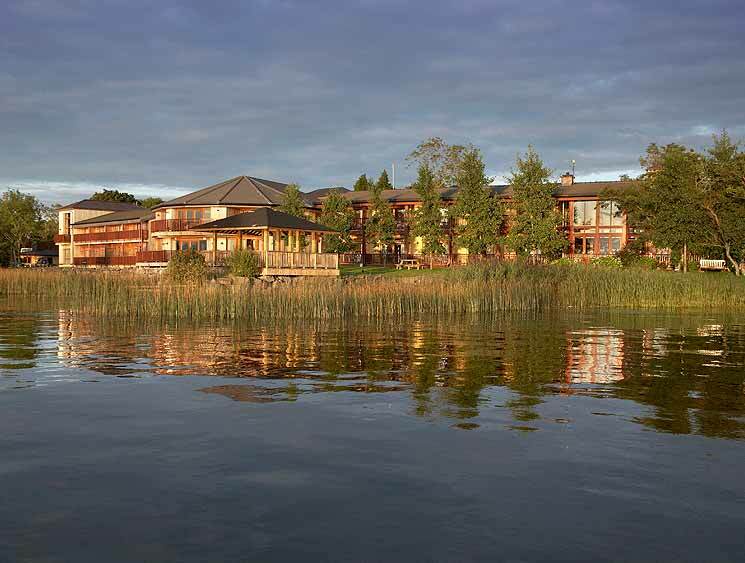 Sitting neatly at the edge of Lough Ree, Wineport Lodge looks like it has always been there. The forested shore camouflages the wooden lodge, while boats and ducks bob happily on the lake in front. I would love to paint our arrival beneath blue skies and blistering sunshine, however, August had arrived and with it, the rain. A misty rain enveloped the lodge and a wind swept across the lake. I won’t pretend I wasn’t disappointed there was no sunshine to welcome us, however, once I stepped inside to a cocoon of wood, glass, soft furnishings and crackling fires, my disappointment faded. I had found an idyllic lakeside retreat, where the weather didn’t matter. I would love it here, I knew that immediately. The rain drove us into our dressing gowns and forced us to reach for a book, lie back on our beds and relax. I paused every few minutes to look through the french doors onto the lake. I had the door open so I could hear the call of the moorhens nesting in the reeds and the lapping of the water. 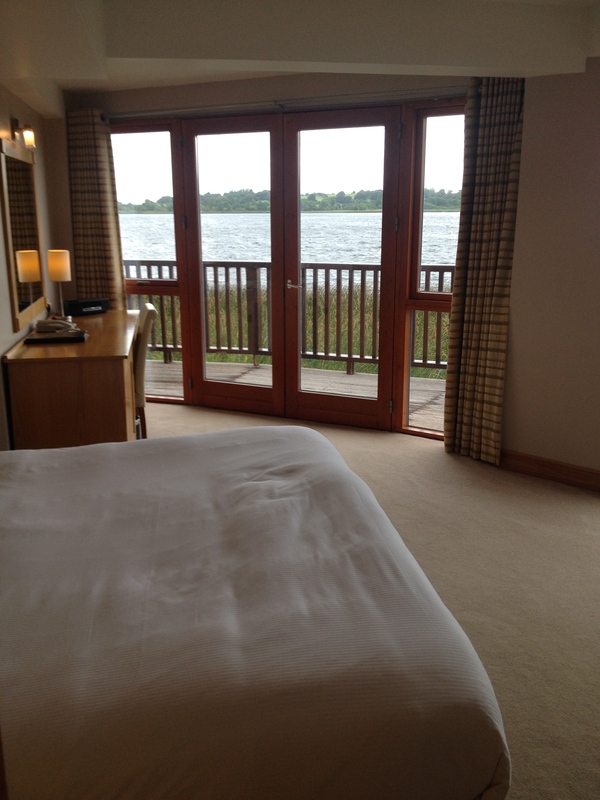 Each room is blessed with a lake-view and plenty of glass to allow light spill into the elegant rooms. There is a sense of stillness and peace in Wineport. The pace of life slows, inviting guests to simply lounge on couches and enjoy the view. Or soak themselves in the outdoor hot tubs or laze in the relaxation room. After several months of good weather and a feeling of obligation to get out and enjoy it, the rain allowed me to just do nothing and I can’t think of a better place to do it. I pottered in my dressing gown to the treatment room for a much needed massage. Norah Jones sang sweetly in the background and the scent of lavender filled the room. My therapist attacked the knots in my shoulders using heated stones. I felt like I’d died and gone to heaven. An hour later I returned to my room a new woman. My friend, who was visiting from London, lay motionless on the her bed in her robe. “I can’t move I’m so relaxed,” she informed me. I looked at the clock. We had only been there 3 hours and had been transported to a state of bliss! We finally pulled ourselves away from our room, heading to the bar to enjoy a glass of prosecco in the bar. I have no idea where all the people hid during the day, but clearly we had all gathered for feeding time. 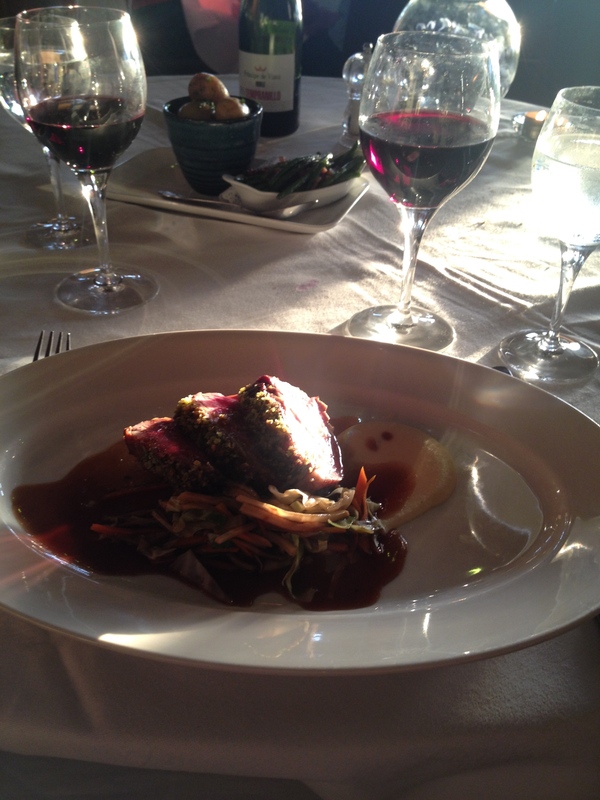 Dinner is an occasion at Wineport. They take food seriously, putting the same love and care into each dish as they do in creating the perfect retreat for guests. The sun made an appearance and spilled into the dining room as it made its descent, tinging the clouds pink, promising us sunshine the following day. We sat for three hours enjoying the sunset, while feasting on crispy pork wontons, succulent lamb and warm chocolate souffle. It was the perfect end to a perfect day. Knowing we only had the one night, I woke early, opening the curtains so I could lie in bed and enjoy the quiet of the morning. The wind had gone leaving the lake still and quiet. The birds and ducks were just waking and the sun was rising behind the lodge. I practice TM (Transcendental Meditation) which is where you meditate for 20 minutes twice a day and it has become an essential part of my life. There are certain places where it comes so easily and opening my eyes at the end of the 20 minutes is like a continuation of the meditation. Wineport is one of those places. I never opt for breakfast in the room as I like to go down and taste everything. Heaven forbid I should miss out on anything. However, when you have a veranda with sweeping lake views, how can you refuse room service? I waited to hear Karen stir next door and then the delightful sound of a rap on the door announcing the arrival of our breakfast. Robes on, the sun soaking into our skin, surrounded by the smell of coffee, maple syrup and eggs, we enjoyed the most wonderful brekkie on our balcony. One night is way too short. 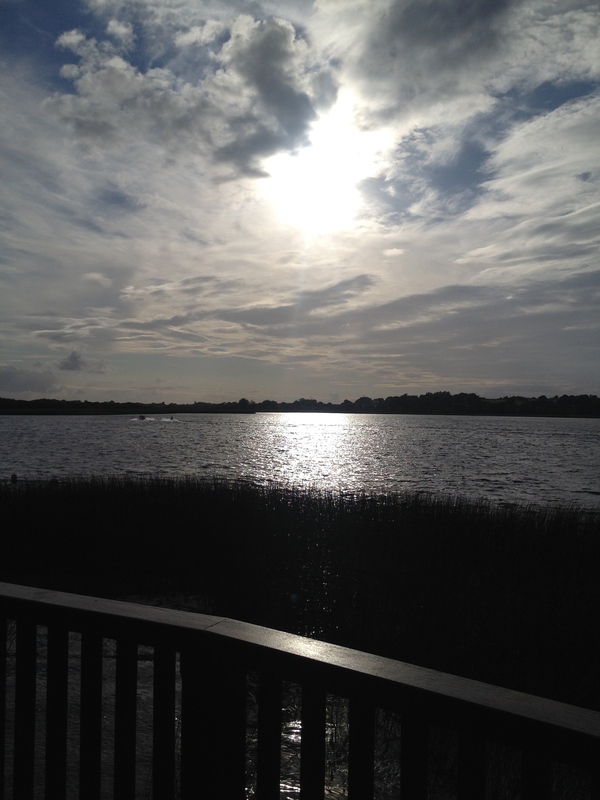 We missed out on nature walks, boat trips, a visit to Athlone and a host of other activities in the area. 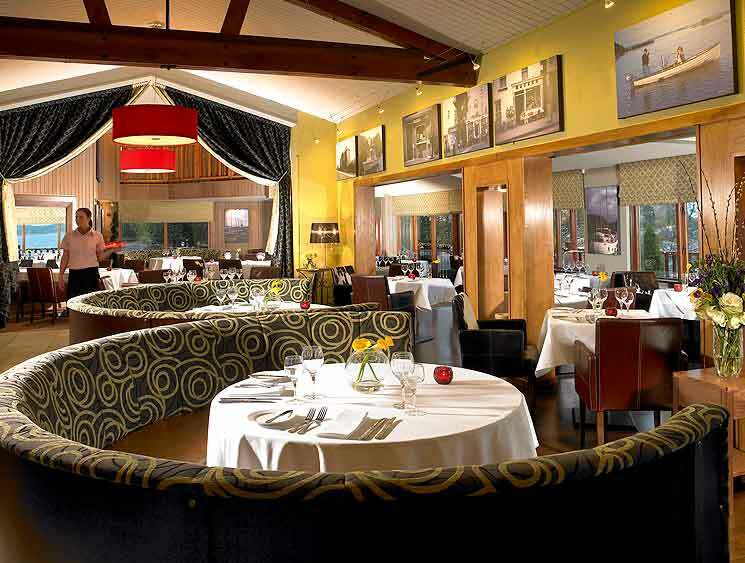 It has taken me so long to experience Wineport Lodge for myself, but I have now discovered a new favourite retreat.